Meet Katie Wignall, prize-winning LondonBlue Badge Guide. After receiving her Bachelor’s degree in Art History at the University in Warwick, the young history enthusiast began her career as an intern at London’s Victoria and Albert Museum, before moving her way up the ranks and finally becoming a self-employed success story. Through her own business, Look Up London, she specialises in guided walks unlocking the «real London». Providing tours for first-time visitors, as well as Londoners who want to get to know their home better. «Sharing the London history that’s hidden above your eyeline» as herself likes to put it. As an Art History graduate, and through her background from the V&A, Katie is passionate about London’s world-class museums and can offer a wide range of engaging tours of the city’s staples like the National Gallery, Tate Modern, British Museum and Museum of London. However, for the born-and-bred Londoner, the cultural side of her city consists of way more than what’s inside the walls of its extraordinary museums. As a matter of fact, with the guidance of Katie, you can experience both exciting and thought-provoking art pieces in plain view on street level. 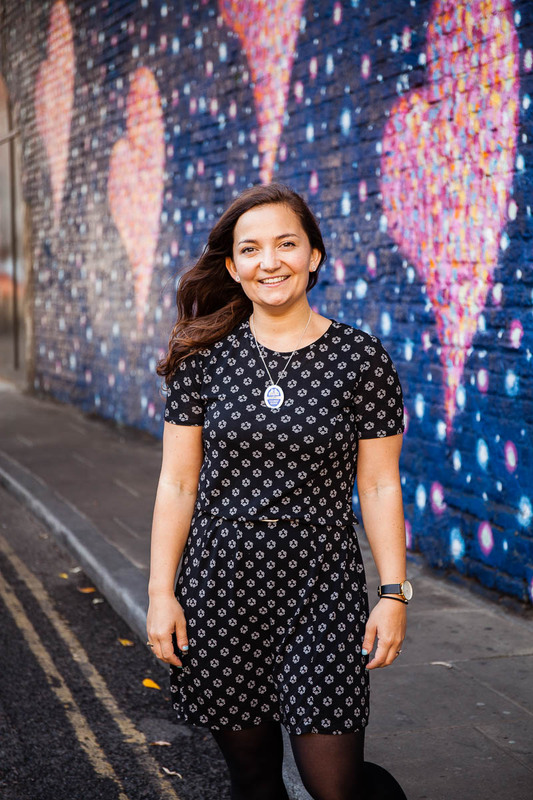 – I love taking visitors around the vibrant areas of Shoreditch to explore the art, and telling the stories behind it, Katie admits, referring to London’s pioneering street art scene, including tricky-to-find masterpieces by artists like Banksy, Jimmy C, Christiaan Nagel and Ben Eine. Katies private tours also include her popular Off the Beaten Track-walks through everything from the secret historic streets in the heart of the city, to the luxurious West End and London’s original melting pot on the vibrant East End. All of it showcased to her many followers on Instagram (@look_uplondon) – capturing the essence of the city through beautiful and fascinating snapshots. If you want to experience London’s rich history in modern wrapping, Katie is definitely the choice for you. – We are so lucky to live in a city with layers of incredible history. You just have to take a moment to raise your eyes above your phone and see what you can spot. I’ll show you why London is the best city in the world! Certified London Blue Badge Guide, Katie Wignall at the memorial artwork by Jimmy C on Stoney Street in Southwark.